Vision, hearing, smell, taste, and touch; These are the five human senses we take for granted every day. What if out of the blue you lose one or more of these senses? Things become a lot different, as you would have to adjust to your new living. It’s rare to have a game where the main character has a disability and you have to use that to your advantage. 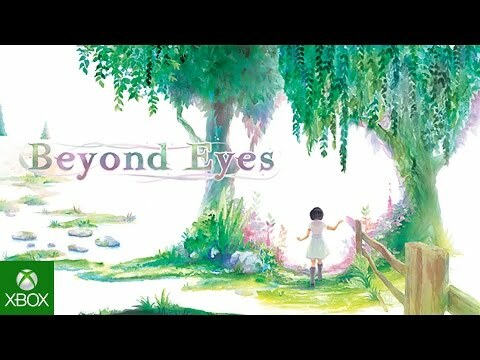 After seeing the trailer for Beyond Eyes, I like the style this game is going for with the water color technique. You have to use sound to help guide her as she envisions what she is hearing. This will be one of those games I play that I can relax and have fun with. Looking forward to this. One of the more interesting titles to come from Xbox’s E3 conference, Beyond Eyes is more of an experience than a game it seems. You play a blind girl going through a journey of some sort. You use your other senses to detect your surroundings, and its never really been done before to my knowledge. This could be a great gaming experience for many reasons, but the thing I focus on the most is the understanding aspect. We are going to play the girl, and we are going to be experiencing life through her is what the trailer seems to be setting up. That connection between the girl and the gamer needs to be pivotal for this to work, and if it does, then I think this will make for one of the more interesting experiences in gaming.